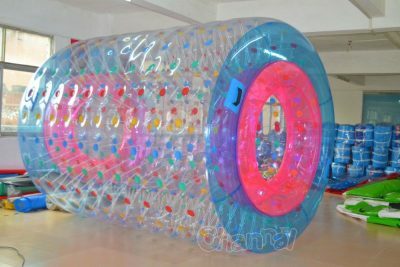 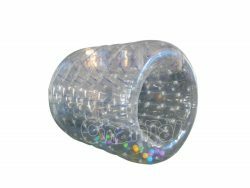 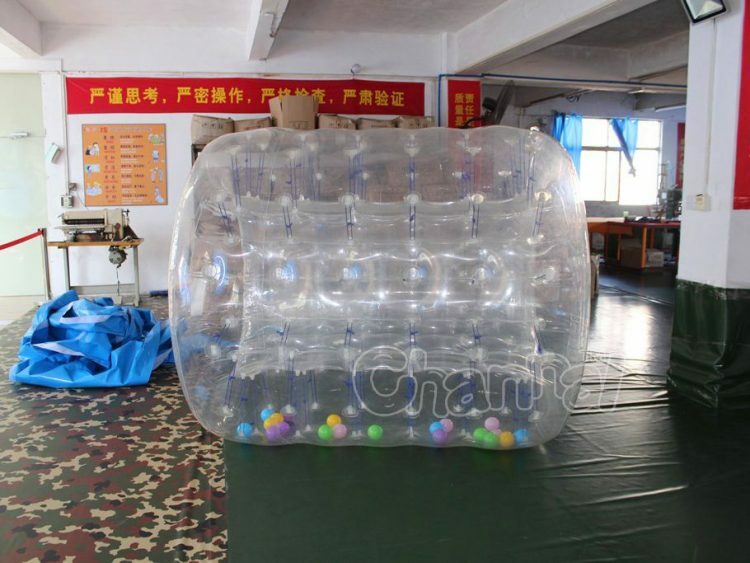 Small size water roller ball for kids, just crawl in and roll like the kids can walk on the water. 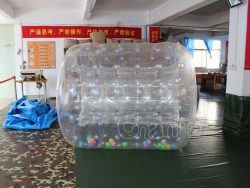 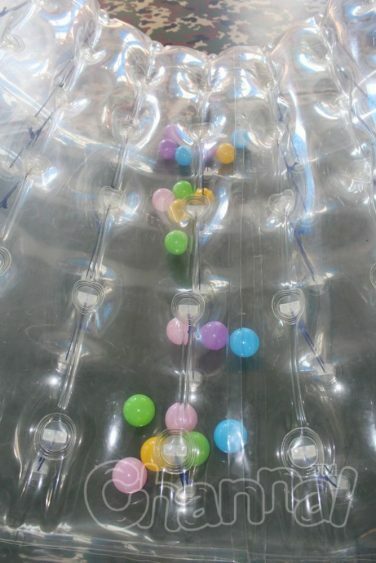 This water ball contains small colorful plastic balls inside the body, it is said kids love balls and colors, so why not. 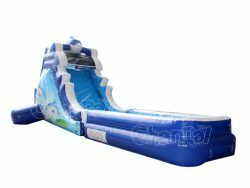 If you own a water park or pool, those water rollers will surely add more fun to your location. 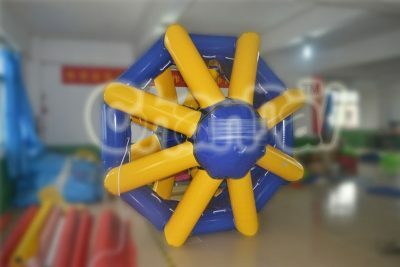 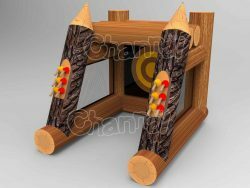 If you really like this style and wanna change it to adult size, we can arrange that. 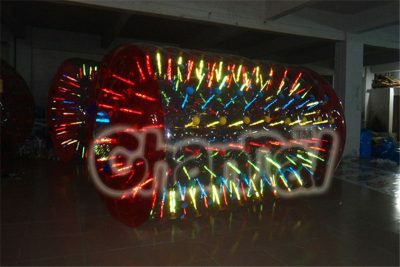 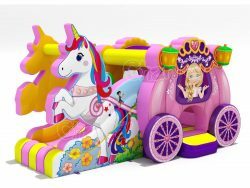 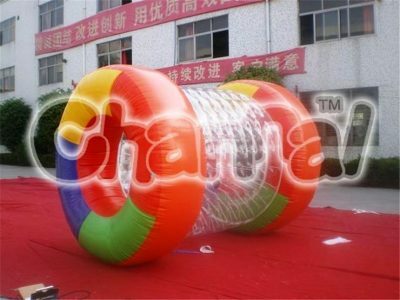 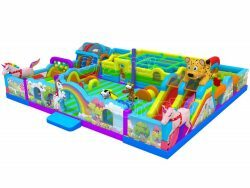 Check our another large inflatable water roller too.